It’s been quite a year for the Brothers Grimm. 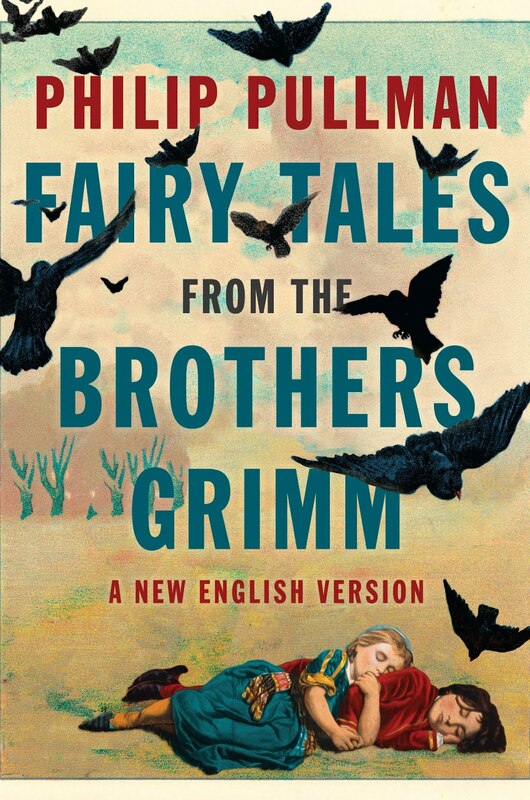 Philip Pullman’s publication of Fairy Tales from the Brothers Grimm: A New English Version marks the two hundredth anniversary of the first edition of the now-famous Kinder- und Hausmärchen. In addition to celebrating the two hundredth anniversary, it’s worth considering why Pullman wanted to retell a series of stories that have already been translated into English multiple times. There are already countless adaptations of these tales. Do we really need another? What is to be gained by the reader or the writer, if anything? We find the answer in Pullman’s introduction to the book, where he describes the fairy tale as being in what he calls “a perpetual state of becoming and alteration” (xix). The livelihood of these tales (and thereby their function as tales) depends on their continual adaptation and reinvention. Viewed in this light, it’s easy to see how folk tales are ideally suited for translation and adaption. The stories in the Grimm’s collection had already passed through multiple hands (and voices) before they reached the brothers, changing slightly with each new telling. We can forgive the translator (or re-teller) his or her deviations for this reason. Not only can we forgive the differences, but we expect and look forward to them; in reading Pullman’s adaptation of the tales, we learn as much about Pullman as a writer as we do about the original stories. Pullman bases his collection on the final printing of the Grimm’s collection (the seventh edition published in 1857), which contained 210 tales. Pullman has selected the fifty tales that he considers to be “the cream” of the Kinder- und Hausmärchen crop (xxi). Many of the tales in Pullman’s collection are not so very different from their originals. For the stories in which he has made significant changes, Pullman details these alterations in notes at the end of the story. For each story, Pullman identifies the literary tale type (as set forth by Antti Aarne and Stith Thompson in The Types of International Folktales), similar stories from other cultures, and the original source of the tale. The Grimms collected stories from a number of sources and the identification of the teller of the tale helps illuminate certain stylistic differences and motifs that emerge as authorial choices. For the tales Pullman does alter, his “improvements” as he calls them are usually in an effort to make the stories read more smoothly, or make more narrative sense. Pullman’s motivation for making changes when he does is as he says in the introduction “to produce a version that was as clear as water” (xiii). In some stories he adds dialogue, in other stories he switches events around to introduce certain motifs or characters earlier in the story. On the whole, Pullman’s alterations are a success. His additions add humor and color to the stories in a subtle and unobtrusive way that enables his storytelling to stay in the tone and style of the Grimms. His changes serve to highlight what is so enjoyable in the original tales—the swiftness and simplicity with which the narratives unfold and the striking nature of the images. I can’t wait to get my hands on this new collection! It will be lots of fun to read! It’s true, there is always room for more retellings of tales like those of the Brothers Grimm. Yes, if you are a fan of the Grimms you will love it! It’s truly a great collection. Unfortunately, the original Grimms’ tales published in the English language over the past century were so altered by translators forced to conform to the morals of the time – and often adding their own moralistic spin on things – that what I know as the original German language stories bear little resemblence to what English speakers refer to as Grimms’ tales. I suspect that this is yet another one of those “white-wash” attempts. I think you might actually be pleasantly surprised. For his translation, Pullman worked with the original German text of the final edition published by the Grimms. If there’s any moralizing in Pullman’s version, it comes from the Grimms themselves (they heavily edited the stories in the seven different editions that they published between 1812 and 1857- the most famous example being the omission of Rapunzel’s pregnancy from the original 1812 version of the story). You should check them out and see what you think! I think you’ll find this a more authentically “Grimm” version of the tales than some other incarnations. will try – Victorian writers and translators are largely responsible for the sanitized versions we have today, so perhaps Pullman did a better job, although I’m not a fan of his, which is probably another reason I’m put off. Fairytales by their very nature are about morals, about right and wrong, good and bad, but as you say, even the Grimms fell foul of contemporary censorship.